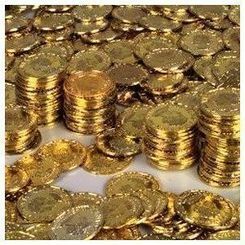 Savings is the number of gold coins a hero has not spent excluding the coins in the hero's immediate possession. After completing construction of a temple, heroes begin thinking about their future and start saving money for their retirement. The Pantheon of Savings ranks the heroes closest toward achieving the goal of saving 30 million gold coins. The savings line indicates the number of gold coins a hero has saved. One of the best ways to save is to enter a dungeon at the start or middle of a quest. Successfully finding dungeon treasure will usually cause a hero to gain about 10,000 to 30,000 gold coins. Next, the god should wait until the hero is travelling the road past towns where heroes tend to add more to savings; Bumchester, Beerburgh, Herowin, Herowin, El Herado, Los Adminos, or Herolympus. As these towns can wander, check the map for town locations and features. When the hero has low health and is within the milestone range of one of the above mentioned towns, a god should give the "return to town" voice command. As with most voice commands, a hero may not listen so account for having to give the voice command multiple times. If the hero returns to a town while having high health, the chances of the coins turning into beer significantly increase. The hero will hopefully then return to the town of choice, heal, sell the artifacts in inventory, and hopefully save a large portion of the coins in the hero's possession (though it is thought that a hero must have at least 40% of their inventory to sell artifacts, save, pray, and do other related actions, excluding healing). Note: if this is done at the end of a quest, the hero is more likely to return to Godville and convert the coins to experience.